Make Lasting Memories at your Prom or Homecoming! Choosing the Theme is the First Step. What are the hottest themes this year? Poll your student body and find out what is HOT at your school, or search online for ideas! Will this be a formal or casual dance? Once you pick a theme, you can begin gathering your prom supplies and decorations to create those lasting memories! Add this post to your blog or webpage! Homecoming isn’t only a fun celebration for high school students, it’s a time when those who have graduated can return to their alma mater and remember their high school days. 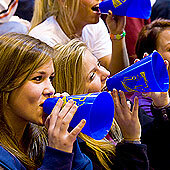 Many alumni groups use this time to fundraise. It’s a prime time to hold some great fundraisers. Turn homecoming into a successful alumni fundraiser with some of these ideas. The week of homecoming is typically filled with student events. It’s the one week of the school year that tends to be more about school spirit than academics. Decide on a homecoming activity the alumni can sponsor. Maybe it’s the annual powder puff game, another sporting event or host a homecoming talent show. Make money by charging an admission fee. If you don’t want to charge people to attend an event, consider charging students to be a part of the event. Hold a banner decorating contest where student groups create a homecoming-themed banner and have them pay a small fee to enter. Start a homecoming parade where each float entered must pay an entry fee. Sell tickets to an alumni tailgate party before the big game. Grill out, bring a few footballs to toss around, and decorate the tailgate area in balloons and other spirit decorations in the school colors. If possible, have some tables with old high school yearbooks on them. People will love looking through them and reminiscing of their days in high school. Provide the meat and buns for the tailgate, but have everyone bring a covered dish. Advertise for the event in the weeks leading up to it, and hopefully you’ll end up with a good turnout! This is probably one of the most packed football games of the season. Take advantage of all the spirit-filled alumni by offering them lots of ways to support their alumni association. Have a bake sale, sell hot chocolate, popcorn, or even spirit items. After all, there’s probably no better time to catch people in the spirit of their high school! Another great idea for the football game is to sell raffle tickets. See if local businesses will donate prizes, or have a 50/50 drawing where half the money goes to the winning ticket and the other half goes to the alumni association. Since many alumni will attend the Homecoming football game on Friday night, hold a golf fundraiser the next day. Advertise well in advance by sending out invitations as well as having a personalized banner hanging the night of the Homecoming football game. There are many different ways to raise money through golf outings. Do your research and see what will work best for your group. At the outing, use some of the other ideas listed here like the raffle, cookout, and selling of spirit items. People love to help out their school. Take advantage of homecoming week to raise funds for the alumni association. There’s no better week of the year to do so! Weather, flowers and sunshine all make summer weddings the most beautiful weddings year after year. From casual afternoon beach weddings to black-tie evening weddings, summertime offers some of the most unique and award-winning wedding ideas there are. We’re talking really bright colors, not pale pink or yellow, but hot pink or bright yellow. Bright colors should be used sparingly, but can really jazz up a wedding when paired with black or grey. Use the bright color of your choosing as an accent color in things like napkins, flowers, or even your cake. Have the bridesmaids wear solid colored black dresses and add a bright colored sash for a pop of summer color. Summer is a time to celebrate the bold, beautiful colors we love, and they’ve been showing up more and more in summer weddings. You don’t have to serve cake at a wedding. Some brides are finding summer weddings are perfect opportunities to serve other, lighter desserts to their guests. Strawberry shortcake, tropical fruit cocktail and even sorbet or Italian ice are unique desserts starting to make their way into summer weddings. If you insist on cake, consider a summery fruit filling. Although often spectacular, beach weddings are anything but unique these days. Some summer wedding planners are finding rather exceptional locations for nuptials that fit better with the personalities of the bride and groom. Weddings are held in barns, in the mountains, museums, and even in aquariums. Some bride and grooms who are major sports fans are even tying the knot at their favorite team’s stadium. Make your signature drink stand out from all other weddings! Instead of opting for your average fruity mixed drink, TheKnot.com suggests serving wine smoothies. Make the drink even more special by serving it in personalized cups. They make for a nice decoration as well as a favor guests can take home after the wedding. If you think your wine smoothies will be a major hit, create personalized recipe cards so wedding guests can recreate your signature wedding drink at home. Fruit is huge right now as both a decoration and a favor at summer weddings. Tropical fruits can make for beautiful centerpieces and then double as a favor at the end of the reception. Consider tying some ribbon or twine around the fruit with a personalized tag, thanking guests for attending your special day. The casual, yet classy, summer wedding is certainly a big request of wedding planners for the summer of 2013. Backyard weddings and park weddings are perfect spots for casual weddings where the bride is sometimes in a short dress and the groom and groomsmen in shorts. Food is simple and might even be cooked on the grill. “Casual” doesn’t mean cheap-looking. When done right with some cute, personalized decorations, it can be a real delightful wedding! One of the most important things to understand about hosting a 20-year reunion – or any reunion – is that outreach is as important to success as the big party itself. Start early to build anticipation and maximize participation. Find high school classmates and 20 year-old artifacts. Put out short lists regularly of people you’re seeking, yearbooks you’re missing, and old photos of landmarks you’d like to display. Build new reunion memories. Use status updates to provide a personal welcome to new members as they join. Ask questions: “Anybody here from the CHS Choir?” “Did you catch Jurassic Park when it opened? Who’d you see it with?” “Tube skirts or flannel shirts?” Conversations will nurture a comfort level among participants. They will also tell you what’s still universally memorable to the Class of ’93. At the reunion itself, many committees set up stations that replay a high school video or leave scrapbooks filled with pictures. Ask attendees to sign a physical or digital guest book with messages about the past or predictions for the future. Add value to the reunion ticket. Perhaps reunion committee members have worked out a deal for a block of discounted hotel rooms, or someone is organizing an afternoon picnic. Give reminders of these extras regularly to ensure that new page members see it – some folks will search older threads and the Events page when they join, but many won’t. Let’s say that the Jurassic Park mention got a huge response. What do you do with this information? We recommend planting a cardboard cutout of a T-Rex somewhere in your venue as a symbol of a good time had by all. Take the symbolism as far as you want: Empire State Building prop to stand in for Sleepless in Seattle, Red Roses backdrop for Bon Jovi’s “Bed of Roses,” and so on. Party props mixed with Class of ’93 artifacts (game balls, photo canvases of class outings, etc.) can form the basis of a guessing game about senior year events that classmates start on upon arrival. Again, let outreach interactions be your guide. Once the reunion theme is chosen, you’ll be able to coordinate banners, favors and tableware with theme decorations. Two areas may require extra supplies: tableware and favors. Be sure to know how many display tables you’ll need for name tags, yearbooks and the like so that you can cover them similarly to the dining tables. Likewise, have contests worked out in advance of ordering (dance moves, classmate-who-traveled-the-farthest-to-get-here) so you can select favors as prizes. Are you planning a reunion party this summer? Let us know how it’s going! The town is painted red, white and blue and the fireworks are ready to go. It’s the Fourth of July and all of America is ready to celebrate Independence Day. The cookouts will be delicious and the fireworks spectacular, but the other American staple on this patriotic holiday is the childhood favorite Fourth of July Parade. Instead of hauling your float behind the truck, use the truck itself as your parade float. The Patriotic Truck Parade Kit is the easiest way to get started. It includes two 25-foot-long vinyl twists, four 15-inch X 10-foot long pieces of vinyl fringe, and an instruction set. Add some star balloons, American flags, and blare some “God Bless the USA” in the truck speakers and you’ve got yourself a simple, yet patriotic parade float! The fireworks might be later in the evening, but get things started with a Firecracker Float during the parade! 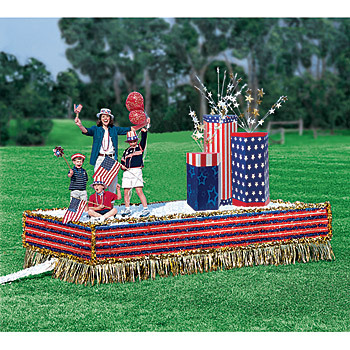 The Patriotic Float Kit can get you started with its floral sheeting, festooning and fringe. What really makes this float grand is the addition of the cardboard firecrackers. The set of three comes with one that is four-feet high, another that is three-feet high and the third is two-feet, six inches high. They will really make your parade float burst! Hawaii is just as much a part of the U.S. as any other state, so consider having a luau theme to celebrate Lady Liberty and all she stands for. Naturally, decorate your float in red, white and blue float materials. What will make your float special, however, is the addition of props used at a luau. Have your parade guests wear Americana Leis and add a few palm trees to your float. In 1976 America celebrated its bicentennial. Take parade guests on a trip to the past and create your float as if it were 1976. 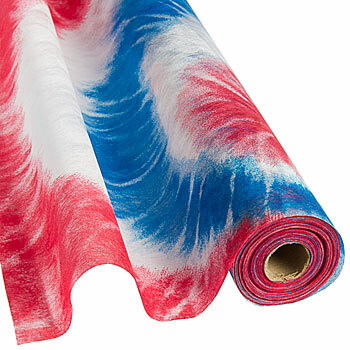 Deck out your float in red, white and blue tie-dye gossamer, blast some classic Southern rock and make sure those on the float are in their favorite bellbottoms as you stroll the streets as a 70’s time machine. This float idea is especially great for church groups. Personalize a banner with the words “God Bless America” and the name of your organization or church. Add some “God Bless America” columns to the float and be sure to play some patriotic, Christian music. Consider having different people on the float dress up as famous American Christians from the pioneer days when America first became independent. Instead of celebrating America as a whole, celebrate one of America’s favorite cities like New York, Chicago, Los Angeles, or Seattle. Make that American city come to life on your float! For a city like New York, take some of its iconic buildings and use as a background. Don’t forget the Statue of Liberty, and use lots of patriotic decorations like garland and stars. One of the great things about America is its diversity. Celebrate the wide range of ethnicities by having a Fourth of July parade float that honors people of all backgrounds. Stick with red, white and blue decorations, but have people on the float dressed in traditional clothes of many different cultures like Asian, African, Mexican and Middle-Eastern. Most people will attend at least a handful of graduation parties each year. Make your graduation party stand out from the rest by making memories at a safari-themed graduation party! Sure the school colors are common, as well as caps and gowns, but instead of all that do something different. This graduation theme is fun for a graduate heading off to college and even more so for a graduate heading abroad. This could be easy if the graduate is either graduating from a school with a mascot like a lion or tiger, or a graduate who will be attending a college with a mascot found on a safari. Get a personalized banner honoring the graduate and tying in the safari theme. Display the banner outside of the venue, inside, or both! Some ideas are, “Go Get ‘Em Tiger!” or “Congratulations Jason, and Good Luck! It’s a jungle out there!” Come up with a creative title for the party and watch your party guests smile at your creativity! A safari-themed graduation party needs some seriously wild decorations. 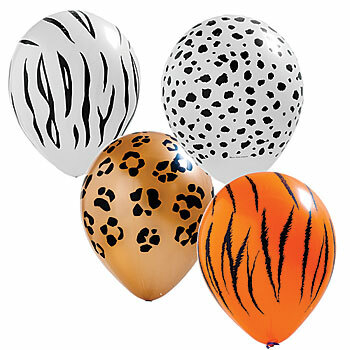 Skip the typical graduation balloons that match the school colors and instead opt for safari print balloons. Decorate tables with zebra or tiger-print paper, and place animal standees around the venue while also showing off the graduate’s accomplishments. Consider using animal-print picture frames for pictures of the graduate while he or she was growing up, or from their favorite high school memories. If the graduate was ever a safari animal for Halloween or some other event, be sure and display that photo as the largest. Keep guests’ bellies full and thirst quenched with a variety of food and drink. Make cookies or gelatin in the shapes of safari animals, and be sure to incorporate your safari theme into the graduate’s cake. Ordinary graduation parties serve graduation-themed mints, but this is no ordinary graduation party. Toss some safari printed mints on the tables. They’ll act as both a treat and a decoration! To help the guest of honor, the graduate, stand out, let him or her carry a personalized cup. Serve guests drinks like “Safari Water” and “Jungle Juice,” and get some personalized reusable plastic cups that guests can take home with them. Your safari can really come to life with the help of the right sounds. Download some safari sounds and have them playing in the background. If the party is going to be huge and have a lot of young guests, consider getting a DJ to play some music so people can dance. After the party is over and the gifts have all been opened, make sure to send out thank-you cards to the people who came. 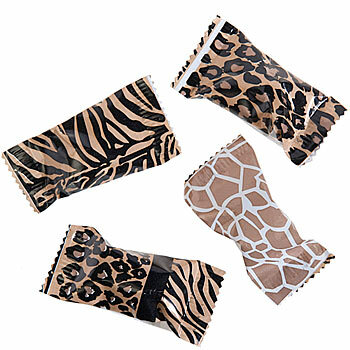 Keep the safari theme in mind and thank them for attending your wild safari-themed graduation party! Chances are it was the most unique and exciting party they went to this season! Summertime means outdoor parties, barbecues, and bonfires. If you’re planning a summer wedding or a more elegant graduation party, maybe even an outdoor prom, you’re challenged with decorating in a tent. With the right decorations and the proper planning, you can make it so your guests completely forget that they’re in a tent! With a few tips and tricks, your decorations can be elegant enough to make your venue seem like an outdoor wonderland, not a party under a tent. If you have tables under your tent for your summer event, you’ll want to use them as a decorating tool. By covering your tables with a white cloth and a shimmery strip of gossamer as a table runner, you’ll create a light, airy feeling for your summer event. 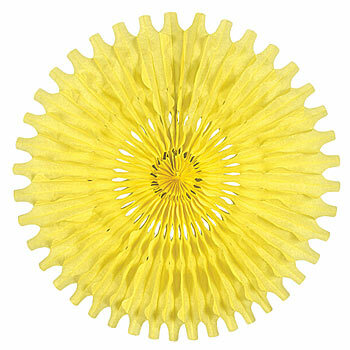 A centerpiece for your tables will play a huge role in creating an elegant event, also. Depending on your theme, you could choose a centerpiece that will fit with the theme. You could also simply choose an elegant centerpiece that will go with any theme, such as a candelabra. When the sun begins to set, switching to candlelight versus bright LED lights or no lights will make your event that much more elegant. Also, the candlelight reflecting off a shimmery gossamer fabric will create an interesting effect. Don’t forget about the chairs that will go with your tables. Seeing just a simple folding chair doesn’t say elegance. You can use folding chairs for your event, but look into chair covers. You could just use a ribbon or you could use a complete chair cover and a ribbon. As you’re preparing your decorations, try to find a way to disguise the tent you’re decorating. Try wrapping the tent poles with shimmery silver iridescent chiffon. If you decide to use candles when the sun sets, the candlelight will reflect off the chiffon. You could also station a bunch of balloons at each of the four corners of the tent, as a way to disguise the corner tent poles. If you want to disguise the poles running along the top of the tent, try twining garlands and flowers around them. Or you could do a combination of chiffon, garlands, and flowers. Another good option is hanging decorations from those poles, such as an ivory floral topiary. Remember, summer outings don’t have to be all fun and no elegance. Even if you’re using a tent for your event, the decorations and the table settings can help you create an elegant sure-to-be-remembered event. Centerpieces and chair covers are a way to help guests forget about the tent, but if you want to disguise the tent, shimmery, flowing fabrics are the way to go. As you plan your elegant summer event, choose fabrics and other decorations that will set your colors off perfectly—create an event that your guests will remember for a long time! Enter your email address to follow this prom idea blog and receive notifications of new posts by email.